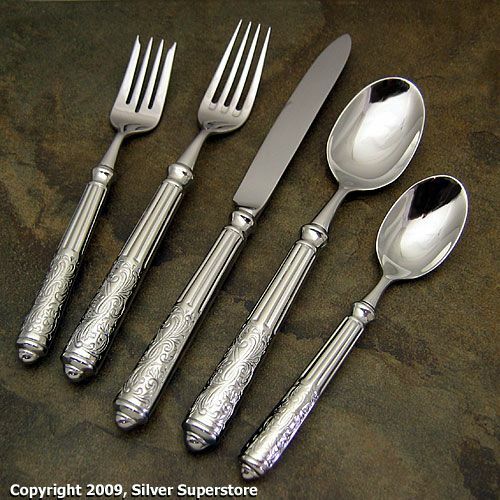 The Amalfi flatware pattern is the first in a newer series of stainless flatware designs for Ricci, featuring patterns that are made with hollow handles. It's quite a dramatic leap for them, having owned the Italian-inspired designs market for a number of years now. The innovative etched and column-style round handles offer a great feel in the hand, with a very heavy weight and a shiny finish. 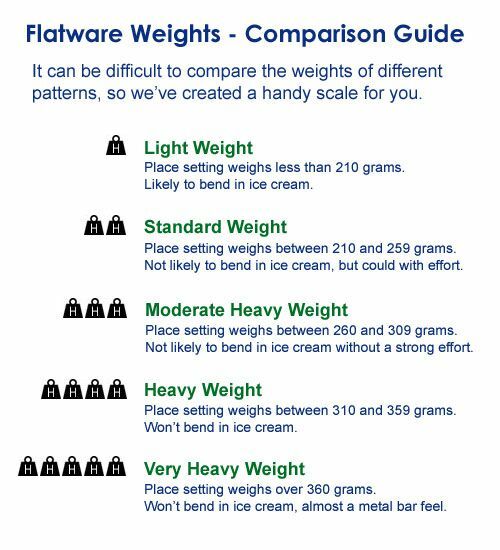 Forget about trying to bend these; it's not going to happen. 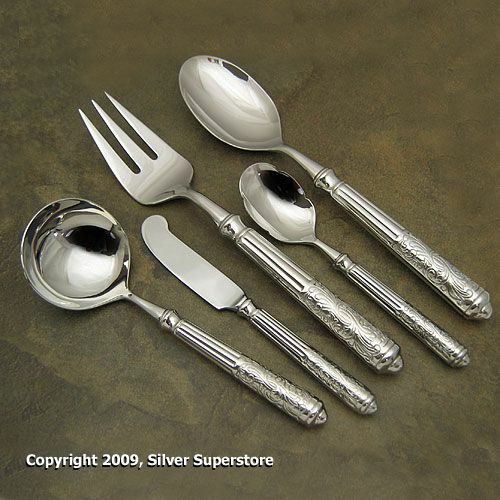 The superior knife blade in Amalfi makes this one of the best choices in stainless flatware, as you might expect from a pattern that costs $84.95 per place setting. We think it's worth it.